At the 2013 International Association of Chiefs of Police (IACP) conference, Commissioner Ed Davis of the Boston Police Department reflected on some of the lessons learned from the Boston Marathon bombings that left three dead and more than 250 injured last April. One of his observations concerned the use of tourniquets by the first responders. How many of the injured are alive today because of the quick application of this simple tool at the scene? Quite possibly many. Hardly a new tool in medicine, a tourniquet is a bandage or other device that is applied tightly, restricting blood flow in injured limbs, and potentially preventing a victim from bleeding to death. Research examining military operations has shown that the use of tourniquets led to increased survival rates for individuals with blast injuries from IEDs, but the translation of those lessons to domestic mass casualty incidents has been slow. For decades, first aid training programs have even avoided advocating for tourniquet use because of now disproven theories that tourniquet use led to increased rates of limb loss. In light of the recent mass casualty events that have so unfortunately captured the nation's attention, the status quo is beginning to change. A group of experts from the fields of medicine, law enforcement, fire/rescue, and EMS gathered in April just a few weeks before the Marathon bombings to discuss ways to enhance survivability in mass casualty incidents. Convened by the American College of Surgeons and the Federal Bureau of Investigation, the day-long meeting looked to evidence from military and civilian events and examined the challenges to maximum survival inherent in traditional segmented, sequential emergency response protocols. The conversation led to the release this past summer of a concept paper known as the Hartford Consensus. Named for the city where the meeting took place, the principles outlined in the paper have since been incorporated into an operation guide [http://www.usfa.fema.gov/downloads/pdf/publications/active_shooter_guide.pdf] for active shooter and mass casualty incidents, and was published by the U.S. Fire Administration in September, as well as unanimously endorsed by the Major Cities Chiefs Association at their October meeting in Philadelphia. At a second meeting in July, members of the Hartford Consensus gathered to develop strategies to achieve the Consensus's objectives. They identified key actions for all segments of responders: law enforcement, EMS/fire/rescue, definitive trauma care, even the public. For law enforcement the actions include ensuring that officers have access to equipment for hemorrhage control and can assist EMS/fire/rescue in the evacuation of the injured. “Hemorrhage control has got to be as much a core law enforcement skill as communication, driving, or shooting,” said Alexander Eastman, a Dallas Police Lieutenant and Chief of Trauma Surgery at The University of Texas Southwestern Medical Center/Parkland Memorial Hospital. “We have to train and equip every officer for this vital function in order to improve both community AND officer safety,” Eastman continued. This meeting also outlined recommendations for the education of all responder groups and a plan to evaluate the strategies in the field, as well as called for the establishment of a coalition of stakeholders to lead implementation efforts at the national level. 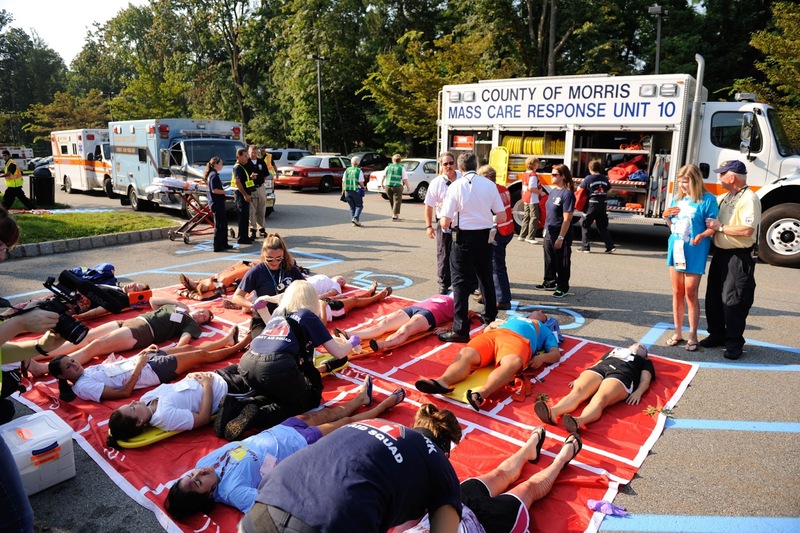 The Hartford Consensus makes it clear that training law enforcement officers in hemorrhage control techniques is crucial, and that appropriate training for officers must be identified and delivered. Already adopted as a best practice by some law enforcement agencies, the concepts are simple to understand, inexpensive to implement, and applicable to agencies of all sizes. As Commissioner Davis said in his remarks to the IACP, “The use of tourniquets is extremely important to our business. We have equipped all Boston police officers with them.” The members of the Hartford Consensus hope that this will soon be true of all departments across the country. 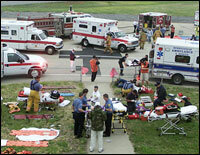 Looking for more information on mass casualty events? After action reports of many incidents are publically available online. In addition, the COPS Office has partnered with FLETC to examine mass casualty events and identify ways in which to reduce the number of events that occur. The first report from this effort, Strategic Approaches to Preventing Multiple Casualty Violence: Report on the National Summit on Multiple Casualty Shootings, is available here [http://ric-zai-inc.com/ric.php?page=detail&id=COPS-P269] and the second report will be released early next year.